Want to improve your staff retention rate? Our recent study shows Income Subsidies can help. Novated leasing is a way of turning your new, used or existing car expenses into a savings plan. FleetChoice can roll your car and running costs (including Fuel, tyres, registration, insurance, servicing) all into one easy payment. So instead of paying for all this with your take-home pay, a portion is paid using your pre-tax salary, turning tax to your advantage. That's where the real savings are derived. What is a Novated Leasing Program? A Novated Leasing Program is a tailored offering that allows your employees to salary package a new or used motor vehicle and its running costs. Offering Salary Packaging services helps your organisation to be positioned as an employer of choice and enhances employee recruitment and retention. Speak to our team today to see how we can assist your business, staff and their families with this or wider Eclipx Group services. To ensure your vehicle is maintained at its optimal peak, it is important your vehicle is serviced in accordance with the manufacturer's servicing schedule by an authorised agent. If you've had an accident or need roadside assistance give our friendly team a call on our 24/7 Accident & Emergency Breakdown Assistance hotline and they will help you out. Update your details, review your agreement or simply want keep on track of your budgeted spend, login to our customer portal to access your information. Settle a Novated Lease before 30 June 2019 and you’ll go into the draw to WIN a year’s worth of fuel!~ Terms and Conditions apply. 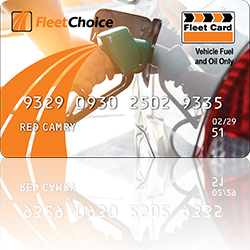 FleetChoice's Expense Visa card provides market leading flexibility and convenience to manage your salary packaged expenses. Do I have to drive the car for work purposes? You do not need to use your car for work purposes to be eligible for a Novated Lease. Both work and private use vehicles can be managed under a Novated Lease Agreement. What kind of car can I choose? Be mindful there are some restrictions on used vehicles, but speak to your Novated Consultant today for more details. When you sign up for a Novated Lease you agree to a ‘residual amount’ at the end of the lease. This is a goverment regulated calculation which equals the amount the vehicle is worth at the end of the lease term. At the end of the lease you can pay the residual amount and own the vehicle outright, extend the term of the lease for a further period or alternatively you can sell the car and use the funds to pay out the residual. Have any other questions? Click here to learn more about Novated Leasing. ~Promotion commences on 21/01/19 and closes on 30/06/19. For a chance to win, entrants must do the submit a new enquiry and settle a Novated Lease before 30/06/2019. The prize is a $3,500.00 Caltex – StarCash Digital gift card. See www.fleetchoice.com.au/win for full terms and conditions. Authorised under ACT Permit No. TP 18/02549 & NSW Permit No. LTPS/18/30857.